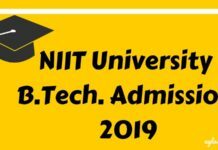 Siksha ‘O’ Anusandhan University has announced notification regarding B.Tech Admission 2018 through JEE Main 2018. It has been notified that this year admission to the university will be based on performance in Class 12 or equivalent qualifying examination and in the JEE Main 2018. A candidate who has applied for JEE Main 2018 will be able to take part in SOA Admission 2018 if qualified. As we know for applying in the B.tech we have to choose the branch of that stream. So the candidates can choose their branch and apply for B.tech. Get all the information related to the Branch Preference for the B.tech Programme. 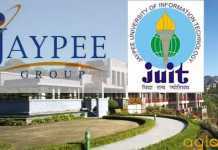 Latest: Admission to B.tech programs through JEE Main link is available now. Apply Now! SOA University will admit JEE Main qualified students to various branches in the Undergraduate Engineering Program at Faculty of Engineering and Technology. 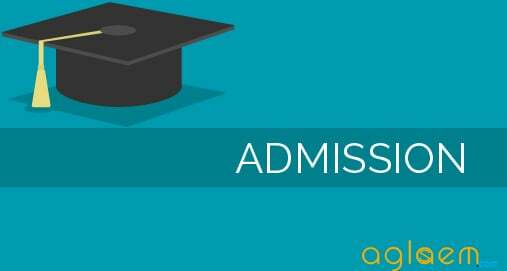 SOA University has released the notification for B.Tech admission 2018. To chose the branch candidates to have to fil the form. The schedule has been provided below for the convenience of candidates. Important dates of are given here. Apply Online: Click Here to apply for admission to B.tech programs through JEE Main. Click the link given above, the form will appear on your screen. 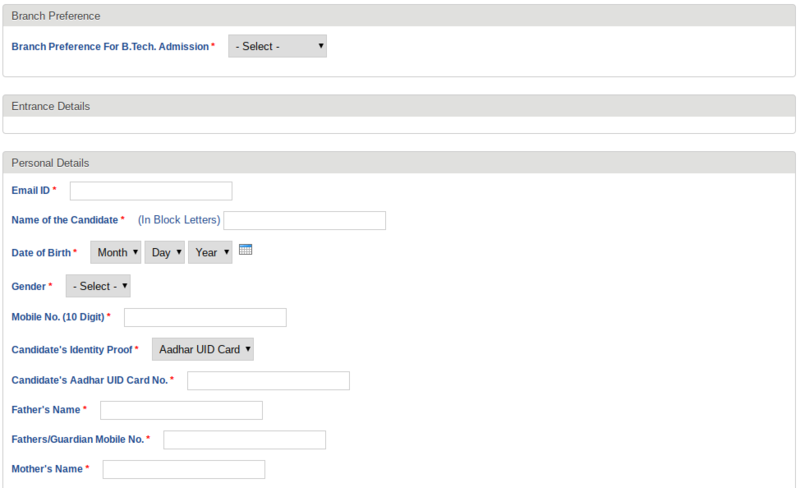 Fill the form which starts with the column of “Branch Preference”, “Entrance Details” and then Personal Details. In the next step, you have to give correct Adress for communication. Fill correct information so that in any situation it would be easy to communicate. Next step is to upload the photo, the photo will be uploaded as same as in the JEE MAIN. Now, fill the Educational qualification in the appeared form. Your educational qualification should be filled correctly, any mistake can lead to the rejection of form. Finally choose Branch option, where three choices have been given and candidates have to give their choice and then after filling all the details carefully click on “submit”. It is advised to read carefully the form before submitting the form. The reservations shall be followed as per the reservation policy mentioned in the following section of this document. Online counselling will be done based on the merit and choice of the candidate. The detailed processes and schedule will be notified after the ranks are published. A candidate selected through the counselling for a course is admitted and registered as a student of SOA deemed to be University automatically. SOA deemed university will organize counseling in which candidates will get seats on basis of merit and choice. SOA deemed university will also verify original documents of candidates during counseling. Candidates must bring original as well as attested copies for verification. The counseling will be conducted at various centers. The counselling venue and time be will be published on the website before few days of the counseling. Candidates have to present in person for the counseling along with necessary documents. In case candidate unable to attend the counseling itself, he/she can allow their parents to attend the counseling along with necessary documents. SAAT 2018 rank card/JEE Main scorecard. Parents with due authorization can also attend the counseling on behalf of the student with all above required documents.